Are you sitting at the edge of your ear seats? Because we're about to drop a cliffhanger on you. And no, Sylvester Stallone is not involved. We recorded so much content about cliffhangers that we couldn't resist the oh-so-meta urge to split one ginormous cliffhanger episode into more than one episode about ... dun dun dunnnnn ... cliffhanger endings to your campaign sessions! But first ... dun dun dunnnn... we read some emails! from Blair: Hey Exemplary DM! Who can recommend online Pathfinder char generation tools? In which we discussed Zero Charisma. Twitter convo about winter from the sprawling metropolis of Rochester, MN, as a preview of the stuff we discuss on twitter, aside from funny dnd quips. Many metals become brittle in cold weather. The frost, sometimes it makes the blade stick. Also, mutated Alpacas in Gamma World. from the wife : i can haz moar podcast? Skill challenges should be well described, not just math, a "choose your own adventure"
from adam: re: Thoughts on a horror campaign? Highly recommend DM's do NPC accents, "the better the worse"
At the end of your next D&D session, pull an old trick from: the end of every Dan Brown chapter, the end of Star Trek:TNG The Best Of Both Worlds Pt. 1, the end of Christopher Nolan’s Inception and all three of his Batman films, the final episode of Twin Peaks, the end of X- Men II, the end of Harry Potter and the Goblet of Fire, the Back to the Future movies, the end of Matrix Reloaded, the end of the first Kill Bill, the end of the first season of Jericho, the end of the patched version of Portal 1 which came out right before Portal 2, the end of the old BBC show Blake’s 7, the end of Half Life 2, the end of Mass Effect 2, the last episode before the break in the middle of The Walking Dead season three, end of the Sopranos, the end of every season of Lost, the every episode of 24 or really right before the commercial break of any action prime time action television show, and of course, that movie Cliffhanger (with Stallone and Merle from The Walking Dead). 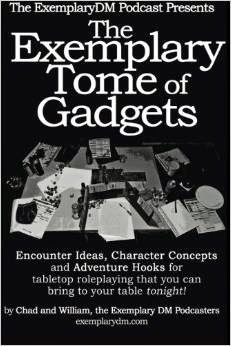 What we’re trying to do here is create a memorable anticipation for the next game session. So like the end of Inception, you really want to know the ending, but unlike Inception, you really want to resolve the action in the next campaign but more importantly - make your characters look forward to it. Let something happen that everyone has wanted to happen for a long time happen, then make them wait for the next session to see the aftermath. W's wife pointed out, in Friends, when Ross and Rachel kissed, everyone wanted to know well what happens next. Say the players finally are made members of the Thieves’ Guild, and you end the session there. They’ll want to play the next session now that they’ve entered the state they wanted to be in for such a long time. Give them a new level (and therefore abilities/feats/stats) or a new item, then let the anticipation simmer. Right-click and Save-As below, or use the RSS feed built into this page.